Cate has always dreamed of starting a family and settling down and yet she’s the only one of her close-knit friendship group still unattached. But that doesn’t mean she’s going to lower her standards. Enter Dave, a reformed bad boy with gorgeous hair and eyes the wrong colour. Dave doesn’t tick any of the boxes on Cate’s list. It’s unthinkable that she would develop feelings for him, and yet … Cate finds herself being drawn to Dave in a way she’s never felt before. I legit had a massive smile on my while reading this book, even in the rocky parts. I think I said something corny when I started reading it saying it was like coming back home but it was true; I love these women so much and I love Williams’ stories about their lives and as soon as I started reading Cate’s story I was back in their world with Maddy and Scarlett and Christa. It was like I hadn’t left. It’s not all big smiles and excitement though, Williams did bring a few tears to the surface in some part, but just for a moment. I’m not saying the book is 90% happiness and frivolity, but it was just so wonderful to read that every little thing made me happy, the conflict, drama, Cate’s frustration and denial, the SURPRISES! It was the perfect package and balance. I’ve realised through this series that there’s a little bit of me in each of these women, possibly all the wrong bits to identify with but all the same there’s something in each of them I adore. I adore because despite them feeling insecure, having a duty of care, a desire to do the right thing, and having hidden secrets, they still get up and have a great life with beautiful friends. They don’t let themselves or their past stop them (well, eventually anyway). 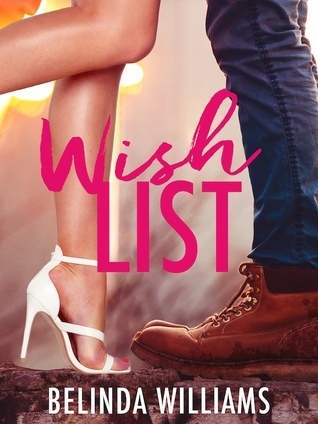 Wish List is the final in the City Love series and after seeing Christa’s, Maddy’s, and Scarlett’s stories we finally get to explore Cate’s. Williams has been great at dropping snippets of information through all her books about each woman, and with Scarlett’s story Cate was given a closer look, just enough to tease you and build anticipation. Justified too because the Cate we discover is totally unexpected from the Cate we’ve gotten to know. Delving into her mind and life is wonderful and finding out more about her secretive past and seeing that she isn’t always the cautious and structured girl she seems to be is fantastic, like all the girls we see her grow. Williams’ starts off the story slowly, almost as you’d expect, meeting a guy who isn’t the guy you expect to fall for, but even if you think you know what may happen, that it will follow some clear set of events, it won’t. Williams brings a whole new story to the table and brings complexity and depth and drama that doesn’t feel over the top or too messy, it feels real and justified and intense. That isn’t even the biggest twist as Williams has five or six more up her sleeve that continually surprise you when you least expect it. She lulls you into feeling safe before pouncing and makes you remember all the little details you’d forgotten about because you were caught up and recovering from the last surprise. It’s easy to think this story is one big issue but it’s a bigger, deeper, more complicated situation that twists and turns and shocks and delights you. By the end you can’t believe you ever thought it was just going to be that simple. It’s not even close to being that simple. For me this is the best and most wonderful ending to a series and a book I’ve read. Williams has always treated these women well and given them stories that suit them and that they deserve, this is no exception, and being the final book it also manages to be a farewell and big finale for the four of them. The continual surprises and little bits of joy and intensity are an emotional ride but I wouldn’t change a thing. 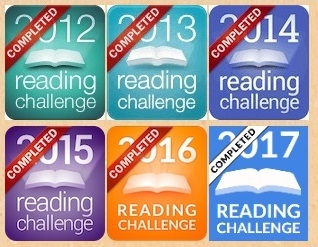 As I read my heart was pounding, I had knots in my stomach, a smile on my face, continually holding in gasps and squeals as my eyes fled across the page trying to read faster and possibly physically immerse myself in the story. One thing I admire about William’s writing is she makes wonderful romantic stories that are heart-warming, heartbreaking, and satisfying without making them overly sweet and mushy, or too innocent or risqué either. Getting inside the heads of these women helps balance that out because you see their reservations, their developing feelings and their reasoning behind what they do. You also fall in love with new characters and reacquaint yourself with the old ones. Dave is my favourite of all the boys in this series, even for his faults. With Cate’s narration we can see how he causes her so must frustration and angst, how his few words annoy her and confuse her. But through Dave’s actions we see a bit more of Cate as well, they balance each other out. I could go on forever and talk about every little thing in this book but I won’t, I’ve gone on enough already, but I will say that there’s 101 things to adore in this story, it’s got everything, love, drama, friendship, excitement, the works. William’s has done a truly marvellous job and had wrapped up the City Love series spectacularly.